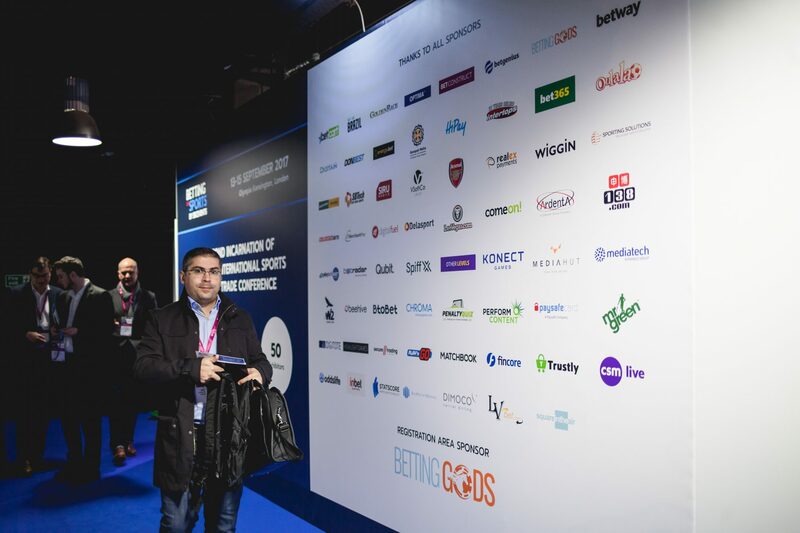 Sports Betting Community, (SBC Events) organise some of the largest international events for the sports, sports betting and gaming industries, with a focus on inspiring content, information, networking and new business for senior executives. 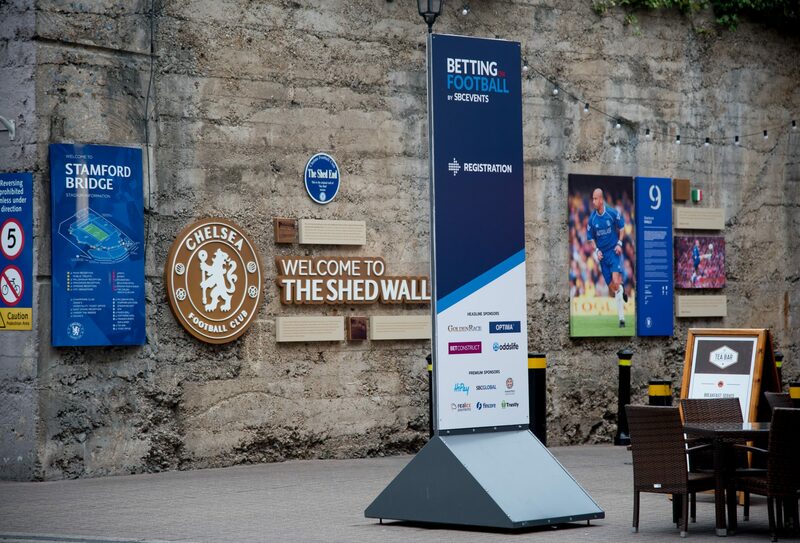 Stamford Bridge has been the chosen venue to host the Betting on Football Conference for three consecutive years, due to the venue’s location. Offering multiple transport links, the venue is well situated for delegates coming from London and across the UK and overseas. In addition, the venue offers a variety of premium event spaces that are well-connected, flexible and versatile. 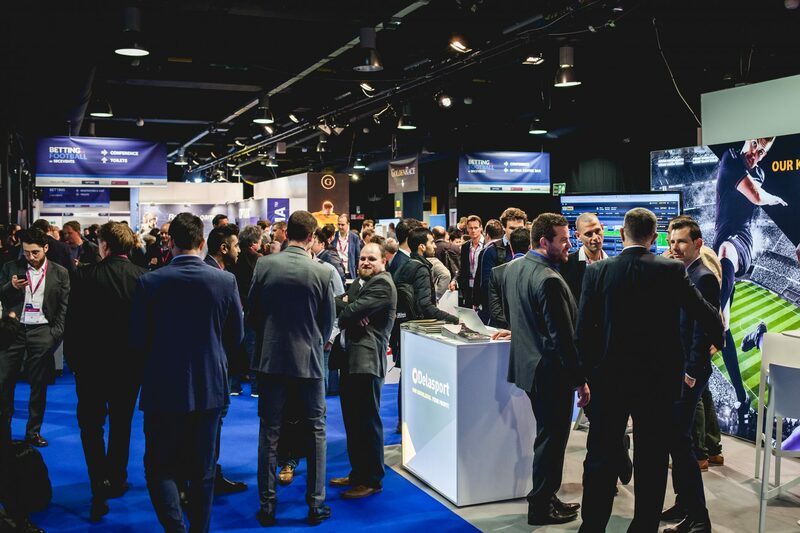 Attendees participated in multiple 1:1 meetings, an exhibition which held 40 exhibitors in the venue’s blank canvas, 1,400sqm space the Great Hall, as well as participating in dedicated networking events and personalised, behind the scene tours of the stadium. 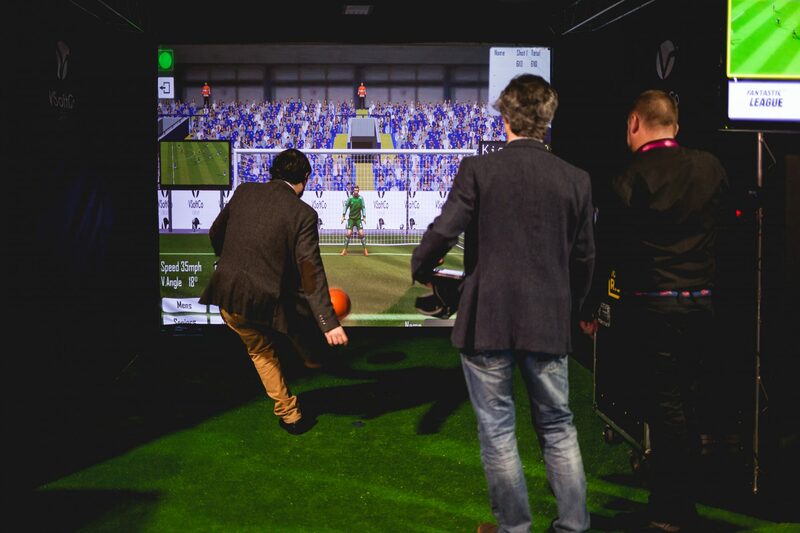 The space was dressed with SBC branding including signage and digital screens, as well as a football stimulator, table football and relaxed seating areas amongst the exhibitor stands. 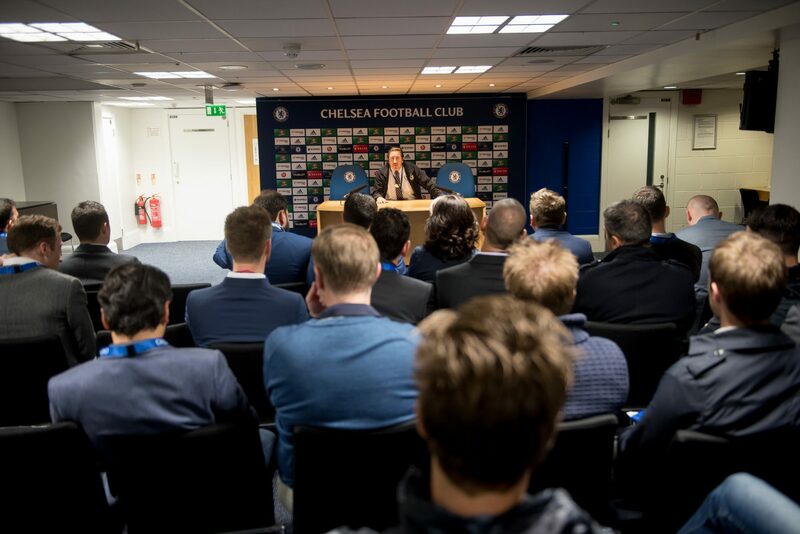 The event took over much of the venue’s conference and events facilities including the Great Hall, Harris Suite, Drake Suite, Directors’ Lounge, Vialli Suite, Frankie’s Sports Bar & Diner, Marco Grill, Under the Bridge and Millennium & Copthorne Hotel. 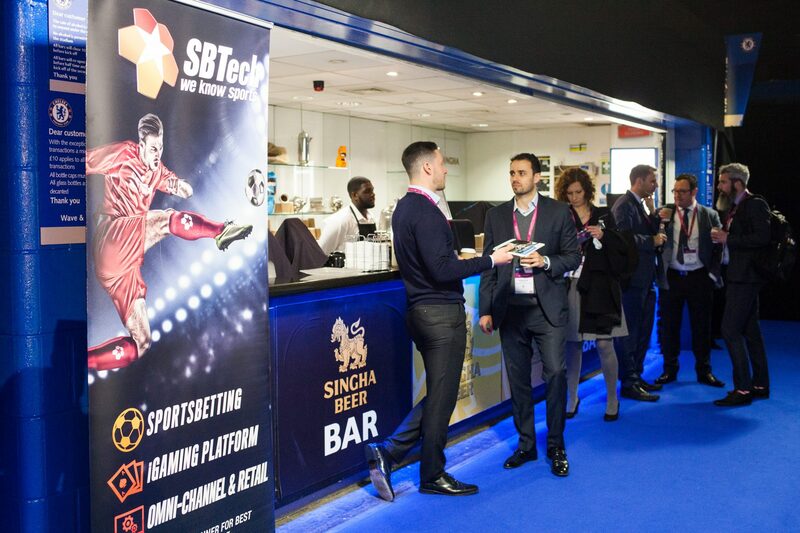 When the first day of the event came to a close, attendees gathered at one of two onsite restaurants, Frankie’s Sports Bar & Diner, for an evening networking drinks event. The exclusive Directors’ Lounge acted as both a speaker and media lounge throughout the event. During the evening of the second day, both the Directors’ Lounge and the second onsite restaurant, Marco Grill (now 1905 Club), were used for exclusive dinner’s, serving classic three-course meals. The venue’s versatile underground music space, Under the Bridge, was set up to host the closing networking party. Guests enjoyed a selection of drinks, while the Europa League semi-final was displayed on large screens throughout the venue. SBC Events worked with the venue’s AV partner, Peachy Productions, to cater to all AV and conference needs, including stage set up, PA and speaker systems, and catering to the needs of the 40 exhibitors. Throughout the event, Street Food Stations, including a Mac Shack, Dog House, Cow Shed and Asian Street Market, offered a wide assortment of delicious food, which received great reviews from attendees, and were served on sponsor branded stations. 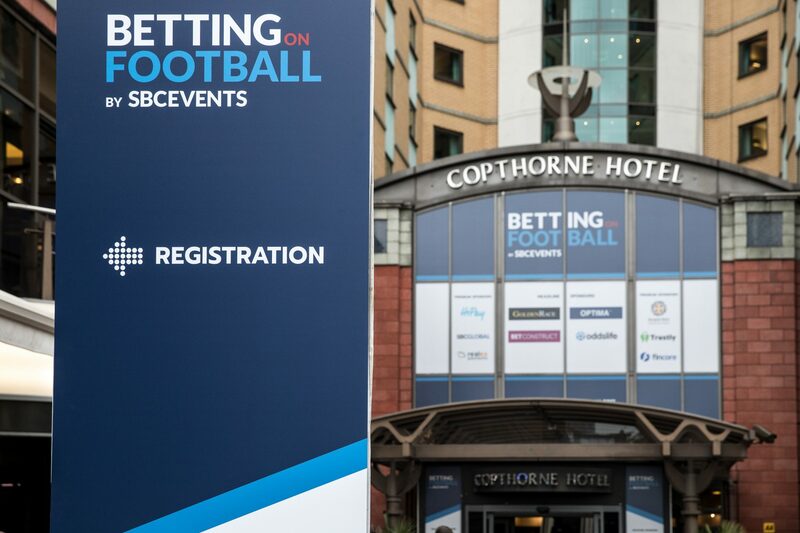 “We’ve had amazing feedback so far, and everyone keeps telling us just how pleased they are with an event that deals with topics and business related to both the sports and betting industries. 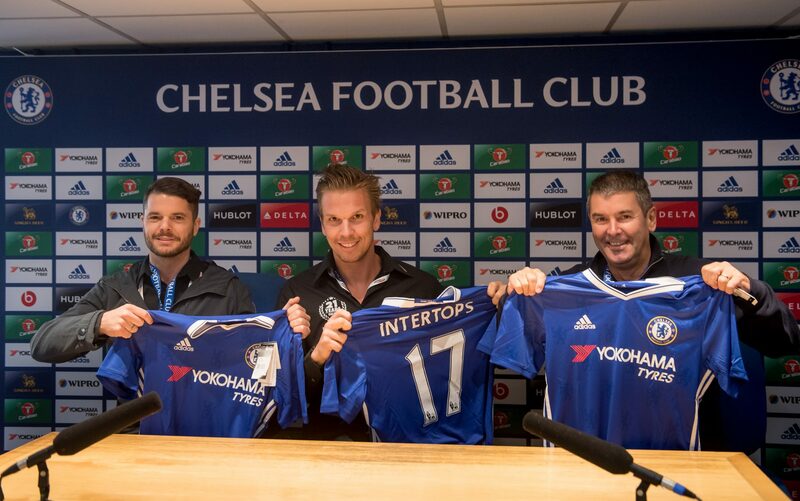 It’s a privilege to have created a platform that has become a vehicle for industry growth and high level business opportunities at Stamford Bridge.